With a variety of sizes and operating ranges, Gorman-Rupp’s extensive line of Prime Aire priming-assisted (dry prime) pumps are hard-working, dependable and ready to tackle the toughest applications including large solids and slurries. The Prime Aire system uses a venturi compressor priming chamber and priming valve which eliminates the leaks associated with traditional vacuum-assisted pumps. This unique system reduces environmental concerns on sewage bypass operations and also enables the pump to operate under flooded suction conditions without leaking. The positive priming capabilities of the PA Series make it the perfect choice for applications where a large volume of air is in the liquid being pumped, there are intermittent flows or there are long or oversized suction lines. 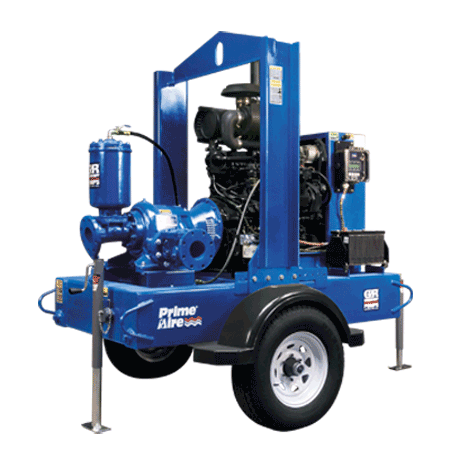 All Prime Aire pumps are configured with EPA Tier compliant engines. The modular design, featured on several PA Series pump models, enables the addition/removal of a lightweight, aluminum, acoustically-treated enclosure to the standard fuel base. The enclosure provides excellent corrosion resistance and offers a significant reduction in sound levels (68 dBA at 23’). A dry run capability is designed into the Prime AireÂ® system. An oversized, oil-lubricated mechanical seal allows the pump to run dry continuously without damage. For positive, reliable priming time after time, Gorman-Rupp Prime Aire pumps are the ones you can count on. Model PA6C features a removable cover plate and adjustable/replaceable wearplate. 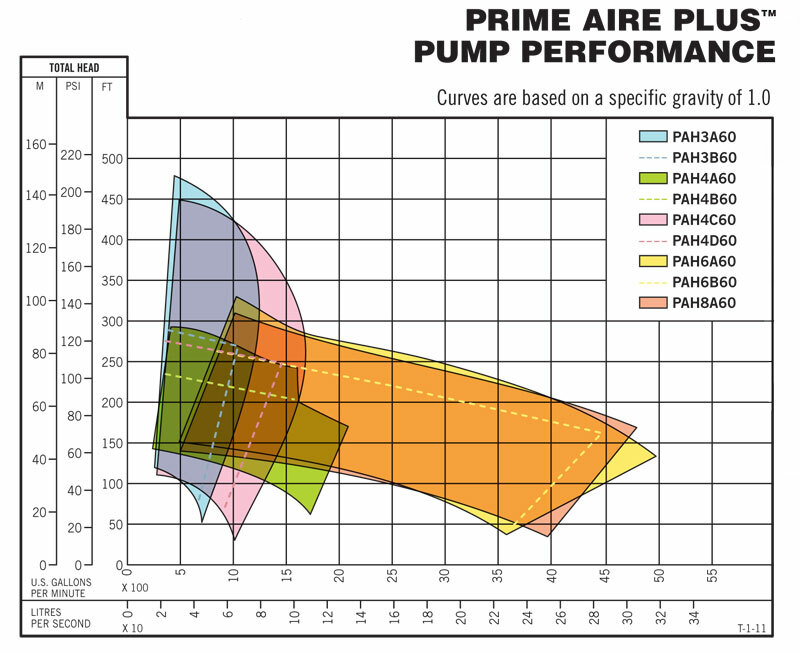 Several popular Prime AireÂ® models are available in a "Compressor-Over-Pump" arrangement. This innovative configuration offers a compact, flexible design while allowing ease of operation and servicing when needed. Prime AireÂ® pumps are equipped with oversized, mechanical, oil-lubricated, double-floating, self-aligning seals with silicon carbide rotating and stationary faces that are designed to take the wear and tear of pumping solids, slurries and other abrasives. Auto-Start control starts and stops the pump in response to a liquid level. The pump only starts when there is water to pump and turns itself off when the water reaches the desired level. There is never any need to waste fuel and add to costly engine overhauls.